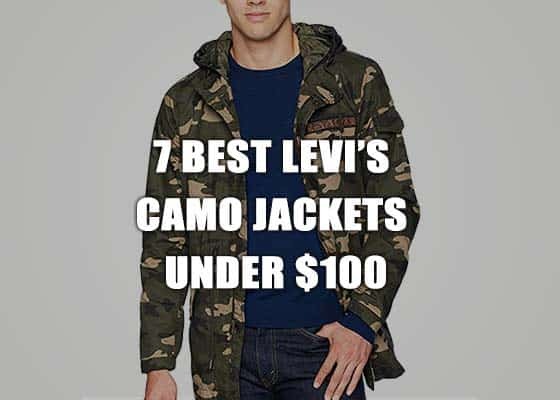 The success enjoyed by many of the major men’s jean companies in the fashion industry has made it possible for their designs to be copied or replicated by others and many of these designs are being sold online without the buyers knowing the difference. 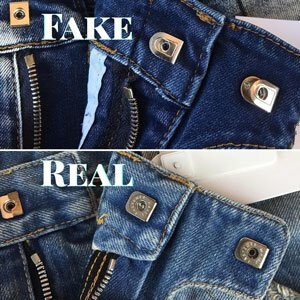 You might have heard of or know someone who ended up being disappointed after finding out the jeans they purchased online was not authentic after spending hundreds of dollars. The Balmain Biker Jeans is no exception. Rev up your game with cheap biker style jeans on Amazon selected just for you. 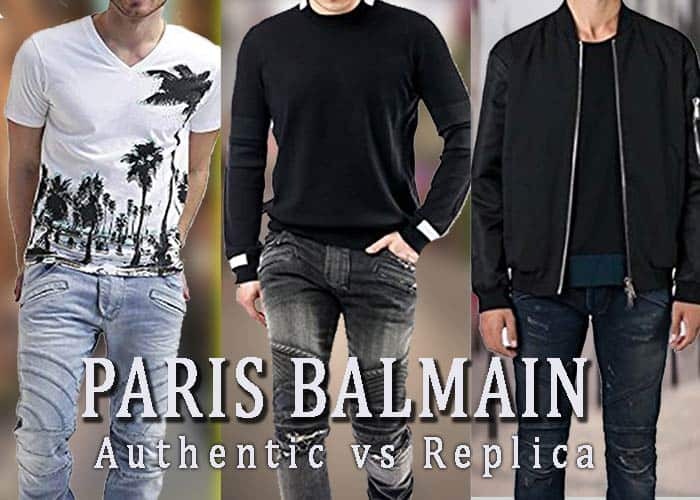 So how can you tell if the Pierre Balmain Biker Jeans you are about to buy is the original and not a replica? Here are some factors to look out for to know if it is original or not. The authentic jeans are way heavier than the fake ones. All the Balmain zippers come in silver, and they look a lot cleaner sowed into the material. This is one of the main things to look out for when out shopping. With the replica that’s not the case, you may find it in a gold faded color because they use low quality closure. 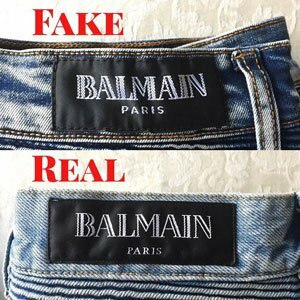 One of the major giveaways when trying to determine its authenticity, when compared to a cheap balmain jeans is the way the Balmain brand logo is stitched in at the back of the jeans. The stitching is not smooth and you’ll see a lot of bumps in the tag material. 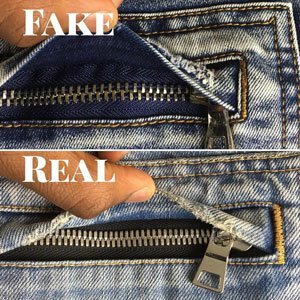 When placed side by side you will see that the sewing of the authentic jeans is smoother with no lumps or bumps in the stitching. It just looks a lot neater. The inside label of the fake is also different; you can hardly see the size number written on the size tag because it is slightly hidden by the stitches. You will also notice that the size number is printed in black and white material. One of the best ways to protect yourself from this is to always purchase authentic products from authorized retailers. 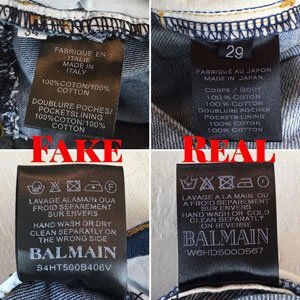 The waist fasteners on the authentic jeans have the words “waist fastener” engraved on them, while the fake Balmain jean has nothing written on it.